My house is brick, so I don’t have to think about exterior colors much, but if my house were wood or stucco, I’d be really tempted to paint the entire thing black. (Let’s pretend heat absorption wouldn’t be an issue, okay?) 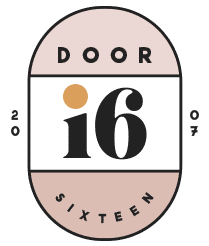 As it is, I’ll just have to be satisfied with a black door—and eventually a black porch and cornice. As with all-white interiors, I really like the way that a monochromatic exterior plays down the details of woodwork and other kinds of trim on older homes. 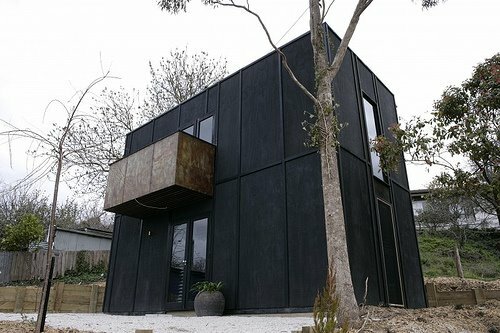 Of course, all-black looks great on more contemporary structures, too! 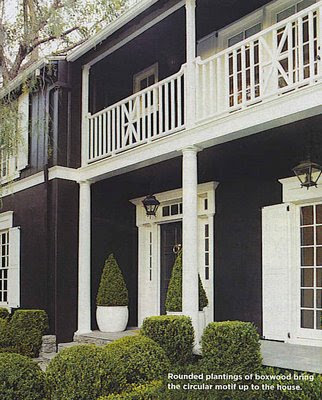 i would never think of painting a house black since it might seem ominous and dark, but these are amazing! now you’ve got me hooked. Can’t go there…and don’t expect the neighbors to invite you to the block party. I like these houses a lot. Black houses are rare, but in their place the dark grey (and sometimes deep red) grab my attention. We painted my basement room grey; a grey we thought was pretty dark. But now that it is in there, it isn’t dark enough. It isn’t Cave enough! 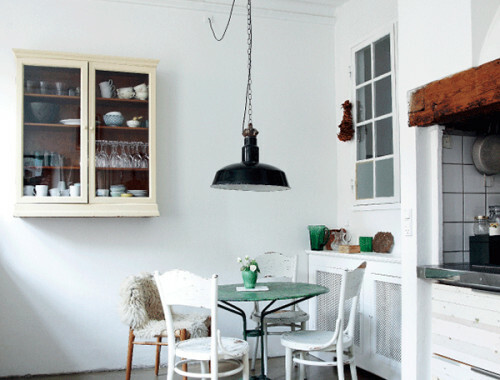 I think its perfect – I’m desperate to paint my brick house a dark charcoal. such a fantastic look. but the heat thing…thats the killer. I think your house would look stunning painted a dark monochromatic color. I think mine would to. oh well. its not a very frugal or functional choice – but it is amazing looking on all sorts of different styles of houses. Wow, I would have never thought I would have liked a black house, but these are unbelievable! When I own a wooden cabin in the mountains, though, that sucker is getting painted black in a hot second. sooner than later i will have the black bungalow of my dreams. that house from budget living is my dream. I love my black house!!! Black with a glossy red door? Although I think I like the black houses when they are smaller, rather than the large one in the second picture. The one in the snow? Perfection. Like you Anna, I am obsessed with black and dark grey houses! I plan to paint the exterior of my house a beautiful dark charcoal grey in the next twelve months. And, I’m am going to stay at Harts Lane (the fourth image) in October! It’s a holiday rental in Victoria, Australia. Just divine. Anna, would you consider painting your brick? I know you have no problem painting wood (floors, trim, etc) – so you could totally have a black house, right? I’m dying to slap some black paint on the garage door of the first house– to me the lighter color makes it stand out, and I hate when garage doors are a part of the architecture on the front of a house. These houses are pretty spectacular… I love the first victorian (minus the garage) and the MCM at the end, especially with that great brick chimney. 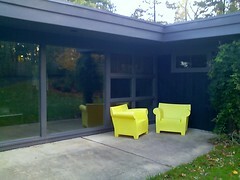 I almost wish those chairs out front were a “pop-ier” color, but still a cool place. Thanks for the collection of pics! yes, i love these, especially the bottom pic! i tend to like the darker shades of grey instead, and hoping that someday we’d be able to paint the exterior of house the shade of grey we like. What a cool idea. We’re still pondering porch colors. Perhaps black/grey will be added to the roster of choices ;o) . Kathleen: See my comment from 4:55 pm — I’d never consider painting my brick. I draw a distinction between painting decorative woodwork and painting structural, historic brick. For one thing, the exterior of a house affects the community beyond the individual homeowner, and in an historic district, I really do think it’s important to preserve the integrity of the buildings that comprise it. Also, structural brick can be compromised by painting it. Specifically, the inability of the mortar to “breath” when covered with paint can ultimately lead to its failure. Finally, the removal of paint from brick is INCREDIBLY destructive and very expensive. Most importantly, I think the old bricks are one of the nicest things about the exterior of my house — even disregarding all of these concerns, it’s not something I’d ever consider. anna! that 18 karat store is less than a 5 minute walk from my apartment 🙂 i have never even seen the back entrance (don’t spend enough time traipsing the alleys of granville street, obviously), but it’s much lovelier than the front exterior. i am so happy you made this post. since homeownership may be a legitimate possibility for me in the near future, i have been thinking about exteriors and interiors a lot lately, esp. black houses & black floors! Those are some beautiful pictures, but I do love your home! My husband and I have been living in a cabin in the woods for almost 11 years and the exterior is wood stained black. Since it is stain, not paint, there hasn’t been a need to do anything to the exterior in almost 30 years. And, surprisingly, it seems to repel heat. The house is very well insulated and has concrete flooring underneath the carpet, and we rarely get too hot, not even in the hottest part of summer. I wouldn’t want to live anywhere but here in the Oregon coastal mountains, but you definitely make me long for a great house on the east coast, too. Thanks for bringing such beautiful work to the world! black houses always remind me of a children’s book i once read, years ago, called winnie the witch…she lived in an all-black house with a black cat, and at the end of the story she turns the house a rainbow of colors…looking at these houses brought that memory back, so thanks! I’m now super tempted to replace the siding on the back of my house with black siding and paint all my trim black! Eeeeeekkk! The Houston house is on the block behind me, and I walk my dog by that house veeeerrrrryyyy slowly every evening to admire it. It is for sale – feel like moving to Houston?! Hi – I love your blog!!! Hey Anna! Just posting to say I just discovered this blog and read it all the way through.TOTALLY sold. Not sure what it says about me, but I just can’t get past the photos of soup and bread and a cup of tea. How does being sick look so delicious? More to the point I love, love love that jug. Do you remember where it’s from? Thanks so much for giving me another blog to check on religiously! jes: The screensaver is from here. Anna, your house would look stunning with its balcony, door, window frames and decorative woodwork all painted matte black. In my opinion, no other colour looks better with beautiful old red brick. And yes, I agree, it would be criminal to paint that brick. Greetings from Montreal! There’s a house here in Iowa City that is painted black, and it has a hot pink door. I’ll have to sneak a picture of it someday, I love it so much. A block from my house there’s also what I love to call the Reese’s Pieces house. It’s painted brown with orange and yellow trim. 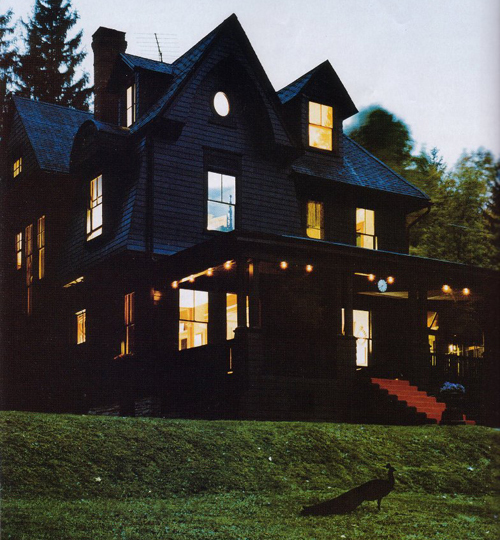 There’s a red wood sided house in my neighborhood that I’ve wanted to own for years now – and everytime I pass it, I imagine it painted black. The owners painted it a few months ago… boring red again. 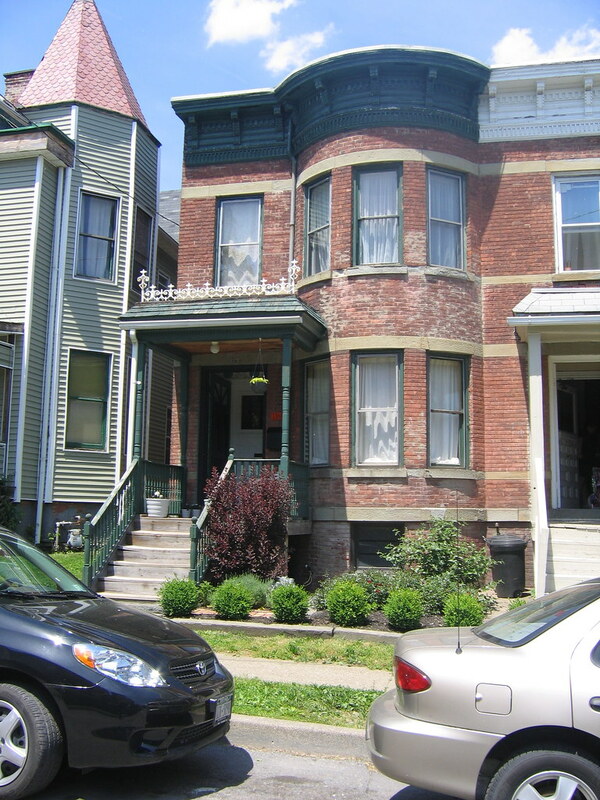 We’re going to do black and grey for our trim as well – I love black with brick. I love black buildings. They wear well! I’m pretty sure that the photo of 18karat was of their secret backyard that faces the alley. I’ve been in there are and I’m ~pretty~ sure we’re not allowed, ha ha. I hope someone comes along and corrects me so I can sneak over. Sorry again! I just read a previous comment and realize my error. Thanks for posting local blog links, Anna. Wow, I’m surprised to say that I love the look of black houses! The ones you’ve chosen are so gorgeous, though I can’t believe the one in Houston, TX. Somewhere like Canada, the midwest or New England would be good where most of the year is colder than it is hot, so you’d save on heating bills, but Texas??!??! That first house is AMAZING looking! I got into a divorce-bound argument with my husband a couple months ago when i announced that i wanted to paint the exterior of our house black. He- once again- called me crazy. What does your hubby think? Oh Anna if you only knew!! I while I was kidding on the block party, prepare to live out your days in suburbia as, “the lady with the black house”. Trust me, the lady with the red house, I know of what I speak. oh! that first photo is stunning! You’re right, it is tempting! Lola: There are no photos from the New York Times in this post, only a link to an article they ran about the house in the first photo. Oh how I wish I could transport myself to that Swedish cabin right now! I love black exteriors. I fell for them when I visited a sheep ranch in Argentina dotted with black barns & buildings(white trim). If I didn’t live in the hot humid southeastern US, I’d be seriously contemplating a black house. awesome! Think that one might be an ebay job due to Ikea Australia’s shoddy stoneware selection. thanks for that! Some of these are like big Louise Nevelson sculptures! They’re all amazing. I see that Vancouver building all the time, and I never get tired of it. Have you ever noticed that when houses are covered in black tar paper during construction they often seem to look so much better than when they’re eventually sided and painted? If I had the kind of house I could do this with, I would. I really like the way these houses’ details and trims are played down with the tone-on-tone colour scheme – it allows all of the shapes and textures to come forward in a completely different way, and trees and plants look so beautiful against the all-black scheme, too. There is so much visual clutter around a house already. These houses look fabulous and I love the dark treatments. I also think dark brick or wood work hides a multitude of sins, xv. but black stain dripped shingles with red trim/shutters/windowboxes and red standing seam roof. sick gingerbread forest land. i will not, though, don’t worry. My neighbor’s house is a dark charcoal, and it’s gorgeous–so dramatic and unique! These examples make me like the color even more. I’m a huge fan of the black and have painted my extension black and will be painting the original part of the house white. A clear distinction between new and old. Wow, love these black houses, I’m so into black right now. That first house looks like my dream home! Thank you for sharing these! It’s interesting, but I just think you lose so much detail on the house with the dark color. A home in my area was stained grey and turned out v.good. I notice you are busy and usually unable to respond to comments, but just was interested in your style choice. I love the way you have integrated the modern into your rowhouse, but the comment pasted above made me wonder if you believe in integrating the periods or covering up a classical structure. I have a foursquare stucco and have been searching for a way to integrate some modern elements into my house. Your blog has some great ideas that I hope to use. 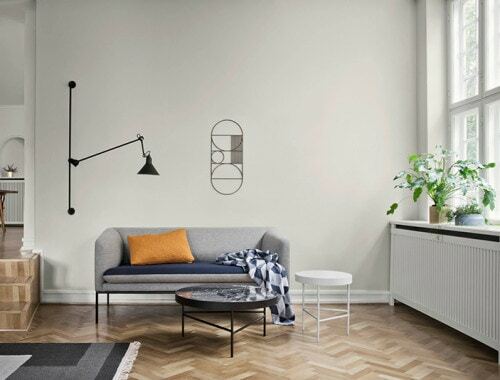 However, I would never attempt to conceal the classical elements within in my house, but would rather marry classical and modern than try to deny the house’s original woodwork and trim. Nevermind… just read your interview on the bathroom. 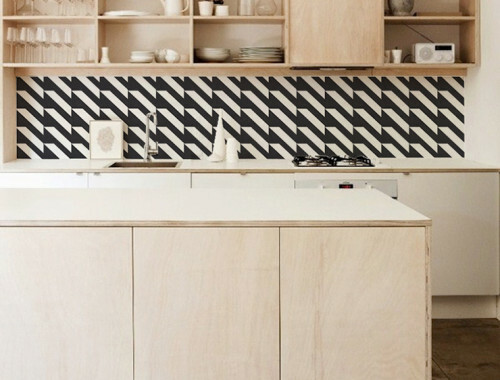 I love that you don’t go for that newly renovated (and, therefore, a clearly dated room) look. There are many old homes that have been cookie-cutter renovated in a 2004 Pottery Barn spread. I am planning to build a house with the exterior to be painted glossy black and interior a glossy whit. The main door will be glossy bloody red. Any idea? Comment? I’m so happy I’ve seen those pictures my husband and I just bought our first home 5 months ago and I was thinking of painting it red and black or black and red , after seeing those pics I we’ll definitely go with black. A black house : Why? Even the Night have the Moon and the Stars to relect light ! I have always wanted a deep charcoal colored house, with the dark wood, wide plank floors inside…., now to convince my husband lol.